I was thinking about the incredible power of a friend’s Context theme when it hit me: Our Signature Themes operate in our hearts and minds like a magnetic force field. We are inexorably drawn toward these, our most natural spontaneous response to stimuli. Like someone trapped in a floodlight of energy being pulled toward a spaceship, resistance is futile! Regardless of the goal you are trying to accomplish, working toward something while using your strengths changes you. Like the old time movie depiction of an alien abduction -- upon return, you are never the same again. I’ve been there. It’s the strengths discovery experience. Our strengths are like tractor beams. I bet you have experienced the irresistible pull of your strengths. You’ve felt the joy of putting them to productive use. Once you start, there is no going back. People seem different, we value our teammates more and we yearn for new and exciting ways to explore our talents. 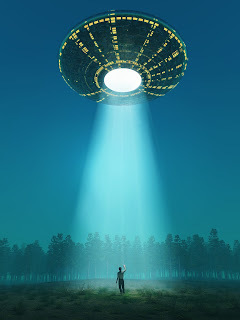 Seeking more information, I discovered that a tractor beam is defined as “a device with the ability to attract one object to another from a distance.” Tractor beam is short for “attractor beam.” Who knew? Back to my friend, Al Nelson, who is a distinguished and influential lawyer working in Troy, Michigan. His top five “tractor beams” are Intellection, Context, Learner, Arranger and Input. He’s a thinking machine. I met Al at his office to discuss coaching. Before we started, he handed me a document he’d prepared for guests as part of his birthday celebration. Al didn’t want presents; he wanted donations for a cause. The first line read: Since the 1950s, I have been a long-time hockey aficionado and only relatively recently (about 15 years ago) did I realize that the sport was part of my DNA. Part of his DNA? I looked up with surprise. Al Nelson is African-American. Hockey is a largely white sport. Fascinated, I continued reading. 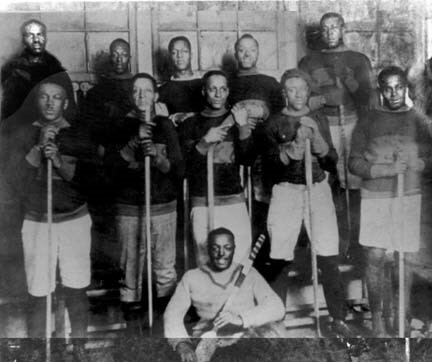 There was a “Colored Hockey League” (CHL) in the Canadian Maritimes that ran from 1890s through the 1920s. African-American hockey players made many contributions that shaped hockey into the fast-paced sport it is today. Al was raising money to add a CHL exhibit to the new Little Caesars Arena, which is scheduled to open in 2017. The very same talents that make Al a successful lawyer were responsible for generating a wonderful gift to Hockeytown. This is a great example of how our themes don’t tell us what we do, but how we do it. His tractor beams created a powerful force field not only in his career, but even in his leisure time. Al’s strengths took us back in time (Context) to teach us (Learner, Input) about a little-known topic. He thought deeply (Intellection) about how to engage others (Arranger) to help him achieve success. Then, he pursued his goal with intensity and purpose. The inherent and often overlooked energy in Strategic Thinking themes is the momentum they generate. l was having a blast riding on his strengths’ tractor beams. Consider moving the tractor beams out of science fiction and into your workplace. What are you naturally and inextricably pulled toward? How does this have a positive effect on other people? Combining our tractor beams with those of our peers amplifies them with compounded interest and helps the organization achieve goals more swiftly. There is joy in that journey. 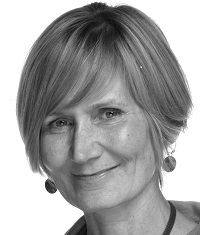 Maureen Electa Monte is a success architect based in Berkley, Michigan. She has a master’s degree in Mechanical Engineering and a master’s degree in Leadership & Business Ethics. She is certified to coach with Gallup’s Clifton Strengthsfinder Tool and Entrepreneurial Profile10 Tools, the Hay Group’s Emotional and Social Competency Inventory and is certified to teach Business Ethics. She has worked with the Clifton StrengthsFinder since 2006, and has helped over 15,000 individuals and teams achieve strengths-based success, including the launch of a global strengths movement in a Fortune 50 corporation. Maureen's tractor beams (Top 5 Strengths) are: Ideation, Strategic, Learner, Achiever and Individualization. I really like this idea, and it helps explain why we are "attracted" to using our strengths. Very nice post. Hi Joe! Thanks for swinging by and adding your two cents. Indeed, it's listening to that "whisper in our soul" that can truly pay off as we make our way through life. We are attracted to what we do best. If we can listen and heed the whisper... interesting and powerful forces work on our behalf!